After a painful 2-3 El Clasico loss to Barcelona, everyone thought Real Madrid were on the verge of implosion, but with how they handled their business after that humiliation showed why the Galacticos remain La Liga’s top contenders and the side to fear in the Champions League. They rested talisman Cristiano Ronaldo, missed the injured Gareth Bale and featured rarely-used guys in their starting lineup against Deportivo La Coruna, but they walked away from the Riazor with a huge victory that took them back to the title-winning track. Star winger Gareth Bale reinjured his leg 40 minutes into the Clasico at Bernabeu, and Sergio Ramos was shown a straight red for a wild challenge on Barca’s Lionel Messi, meaning that Zinedine Zidane’s side played 50 minutes without their second-best attacker and 13 minutes without the rock of their back four and their long-time captain, but were still able to give their visiting rivals a challenging fight. How? Because aside from Ronaldo, Bale, Karim Benzema, Toni Kroos and Alvaro Morata, there is another gifted playmaker and scorer in Zidane’s star-studded list: James Rodriguez. The Colombian subbed in for Benzema, and instantly infused life to the struggling Madrid side and got rewarded three minutes after his introduction as he tied the game at 2-2 after scoring following Marcelo’s brilliant feed. But Messi had other plans his spectacular and historic night, as he scored his 500th goal for Barca on that night, including the injury time winner. Many believed Madrid’s hope of winning their first La Liga crown in four years will once again crumble under great expectations as Barca are hot on their heels. Los Blancos are also dealing with a lot of uncertainties, including with the futures of boss Zidane, Bale and even Rodriguez. 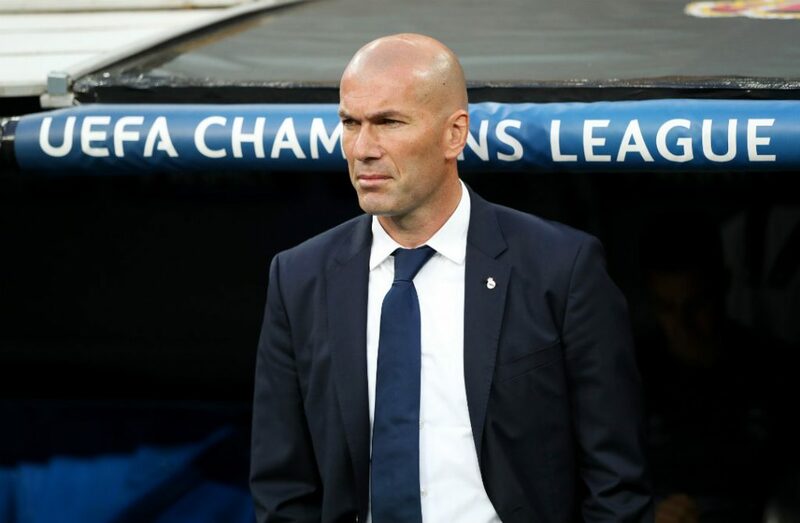 In their first match since the Clasico, Zidane opted to rest Ronaldo and most of his first team, meaning they were not even at half strength, but they stepped over Deportivo La Coruna and beat them handily 6-2 at their own stadium, the Riazor. Rodriguez, who only have 10 starts and 18 appearances in the league this season, starred in that match and completed a brace, with midfielder Isco likewise showing his offensive prowess with a goal and an assist. Alvaro Morata, the youngster who Madrid bought back from Juventus, opened the scoring in the first minute, while Lucas Vazquez and Casemiro also getting their names on the scoresheet. Madrid, who were supposed to have been in a breakdown after a loss to their rivals, took back the La Liga title race in their own hands in a dominant fashion while using a group of players that don’t usually take the field together. With one fantastic win, they are tied with Barcelona atop the Spanish top flight, and they have a game in hand and will lift the trophy if they sweep their remaining games. Of Madrid’s last five remaining league matches, only fourth-place Sevilla is in the top five, and Celta de Vigo and Valencia are 10th and 12th respectively. Their other games are against 14th-place Malaga and relegation-threatened Granada. Hence, barring any injuries, the title is likely Real Madrid’s. Even in the Champions League, the Spanish giants are heavily favored to win it all, since they are against Atletico Madrid in the semi-final and they have defeated their cross-town rivals in two of the last three Champions League finals they have clashed on. Juventus, who shut out Barca over two legs in the quarters, will once again have their plate full with Monaco, who are one of the best attacking clubs in Europe. With one of them getting eliminated, Real’s path to their third Champions League trophy will get clearer. But before they can celebrate all that, Madrid still have many battles to fight, including the next one, which is a home game against Valencia in La Liga.